Did we mention that I having my vacation in Hatyai for 3 days 2 nights? During this vacation, major part of it fall on food. 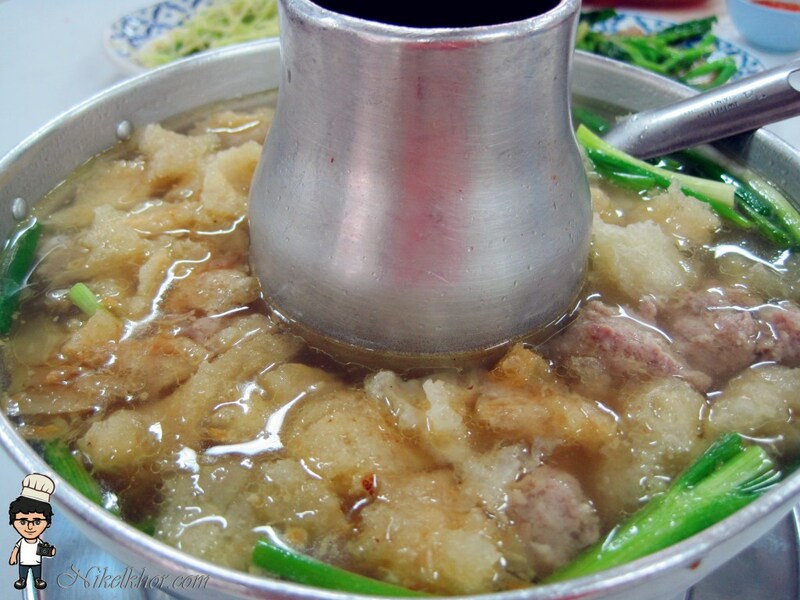 We went through almost the famous restaurant, famous delicacy famous street food and so on. Nevertheless, back to Chinese-Siam food. This restaurant can be said is not only well known in town, but even across the border. Most of the time people will purposely come here for their famous braised pork trotter. 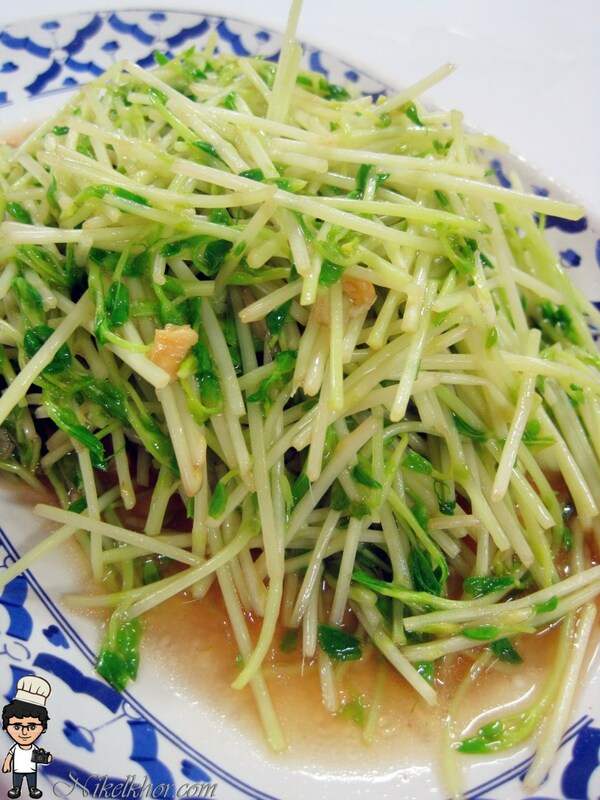 The first dish served : Pea sprout where this dish we seldom ordered in Malaysia. However, the dish was quite popular here. 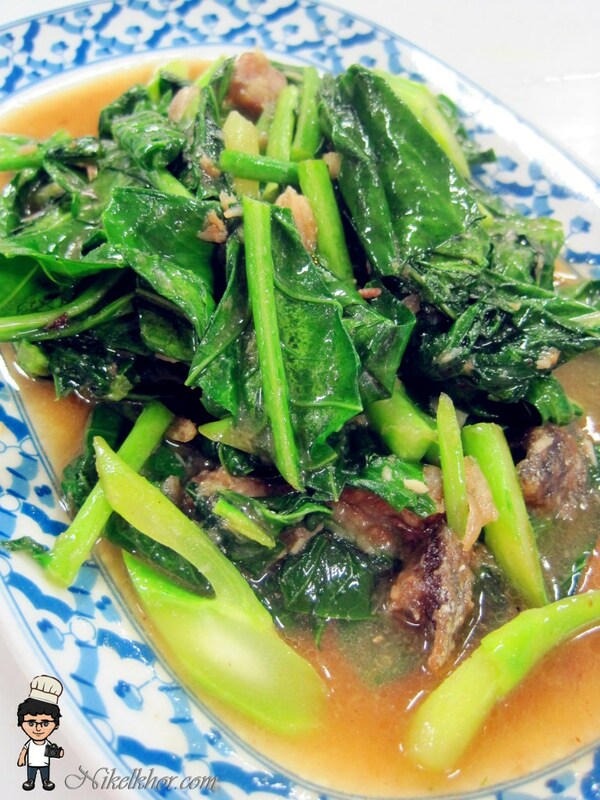 Simply stir fried with oyster sauce, adding some flavour to the dish while retaining the crunchy. Second dish served : Braise pork trotter. Honestly for this portion, most of my guest complaint that it is too oily because the method of cooking and the thick fat between the layers. However, I still recommend to share this portion among your friends, sinful but really tasty with the long time marinate. Third dish served : Stir Fried Kailan with salted fish. 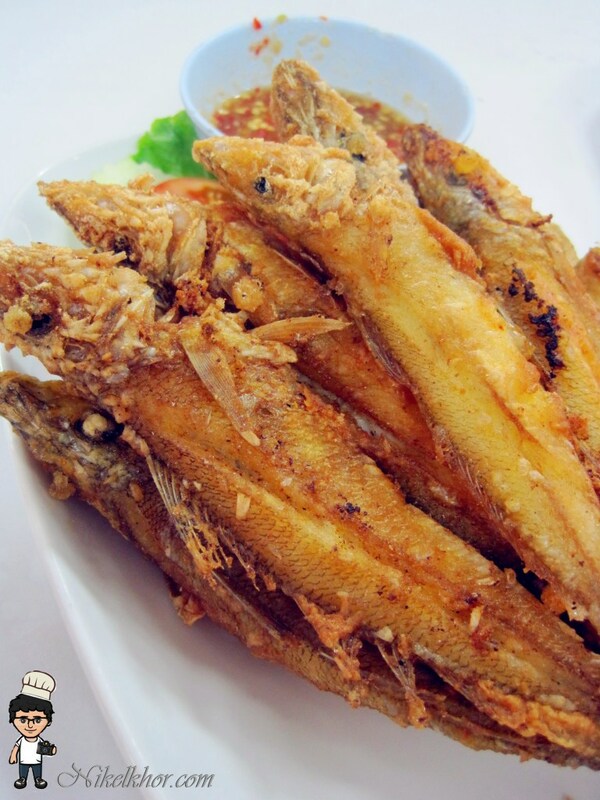 The salted fish was EXTREMELY flavourful because of the big portion of salted fish. I can finish whole bowl of rice by eating this dish only! 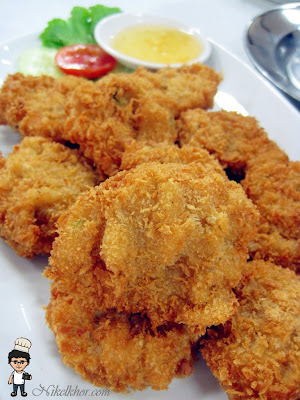 Fourth dish : Deep fried fish. Anybody know the name of this fish? Please reply me in comment box. The meat was so fine and smooth. After deep fried, even the bone can be wholly walloped. A simple dip into the dark sweet sauce does their best job to gain the freshness of the fish. Five dish served : Fish maw soup served in charcoal bowl. The burning charcoal serves its purpose in keeping the soup warm all the while and the fish maw was not overcooked, the biting texture is still there. Soup are always good to enjoy it while hot, the charcoal bowl is a good idea, the kitchen put their thought to serve the best to all diner. But somehow, i guess they put too much ajinomoto and make me feel thirsty after drink of it. The last and the most recommended dish : Moon Light Prawn Cake. The paste is mix of prawn and vegetable, coated with a layer of flour and breadcrumbs, make it super crunchy. Every bite of it will have satisfaction of its good. Beside this, the prawn cake is perfect to dip in their special sweet sour sauce. Even if you are not coming for lunch, this prawn cake is served as a very good snack for a beer too!